Papercrafts by Patti: Happy New Year!! I fully enjoyed my family at Christmas and over New Year's, so I have been absent on the blog! But, I'm hoping to get back to creating this week. Here is my "leftover" card from December. We were guests at a Tuesday evening wedding at a beautiful venue and there was a Christmas theme. I thought that the white on white card was perfect and that black would appropriately accent here and there on the card front. Thank you for following my blog and I hope you are signed up to receive each and every notice of post. May 2018 be your best year yet! 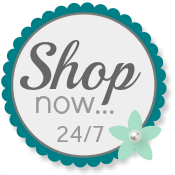 Please use my Online Store for any purchases of Stampin' Up! products to complete your projects.